Pie. Double crust chicken pot pie. Greg Atkinson’s Excellent Apple Pie. Pumpkin pie for morning-after breakfasts. 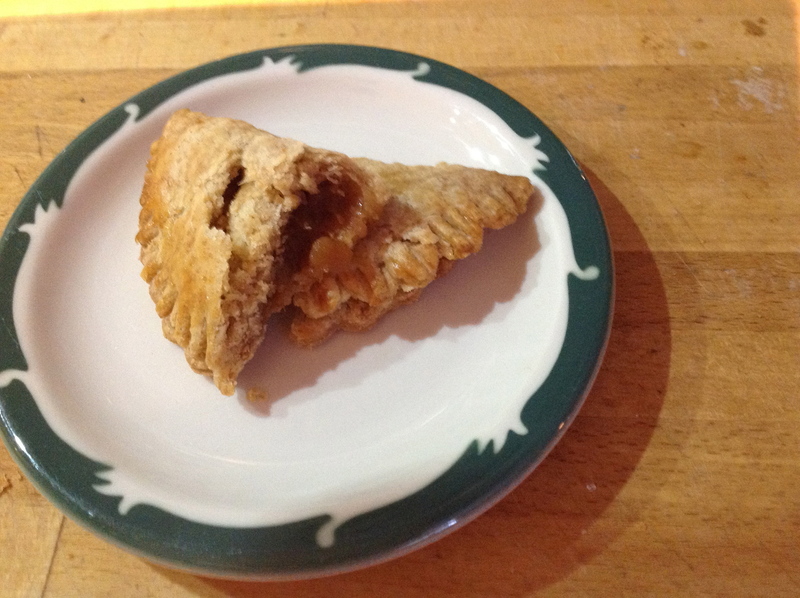 Hand Pie. I love pie. My mom has always been a pie-maker. The patina on her rolling-pin is a testament to pie. 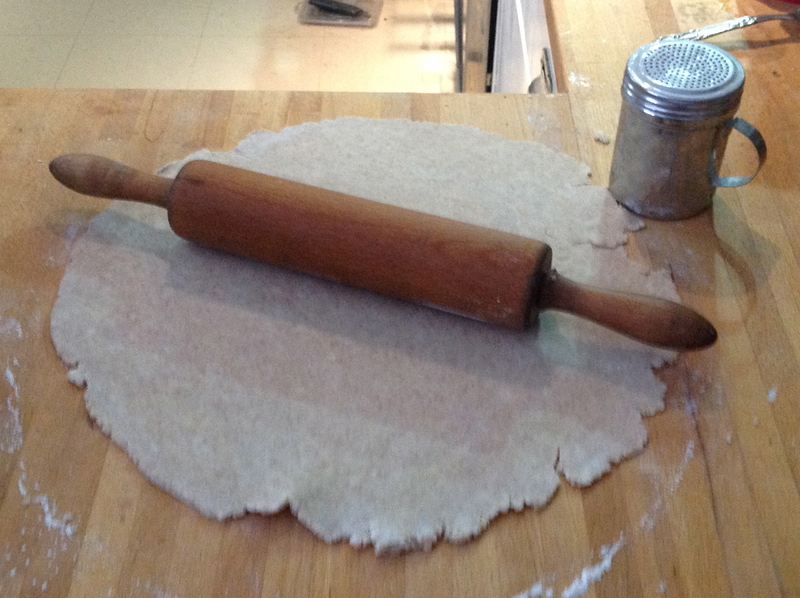 Her pie dough was, and is, oil-based, rolled between layers of waxed paper to prevent sticking. The beauty of the thin dough, clinging for life to a single piece of waxed paper, hovering over the waiting pie dish, only to be lowered and released from its paper captor, soon to be filled with apples or berries or peaches, still lives in my memory. The pie I love now owes its greatness to butter. France’s Pate Brisee sounds much more elegant than its English relation, Pie Dough. Pronouncing bree-zay is like speaking of the breeze, fresh air, being at the coast; all life and joy and light. Pie Dough sounds pedantic, plodding, heavy. Done right, however, pie dough is anything but heavy, regardless of what pronunciation you choose. 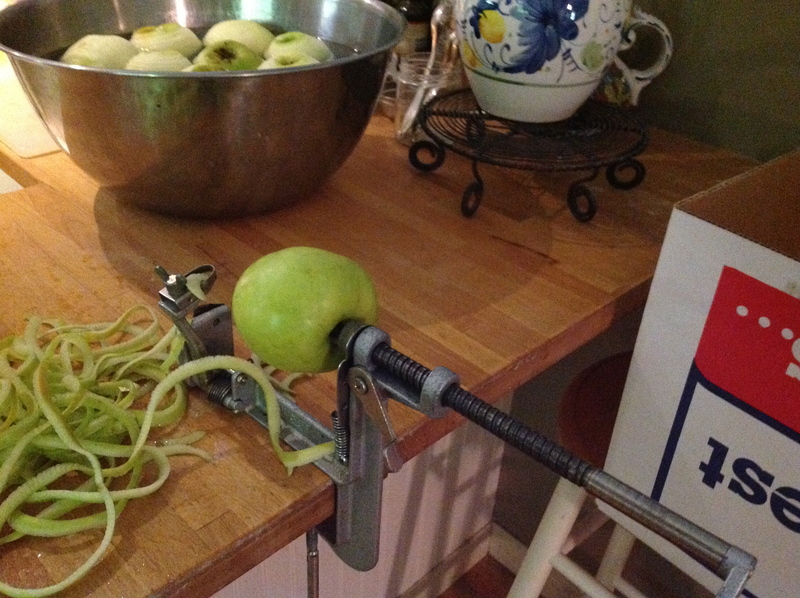 I diced apples from the freezer which I peeled & cored in September! and let the excess juice drain off. 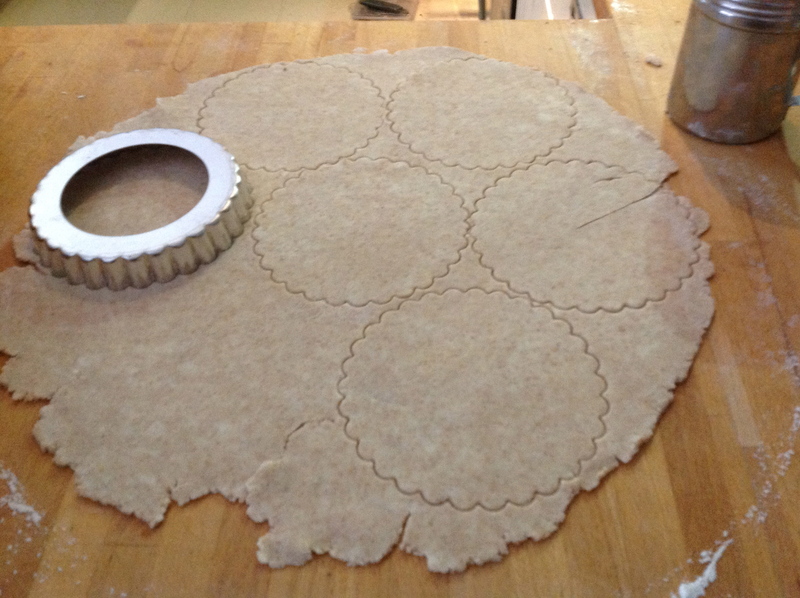 Next came rolling and cutting the dough. 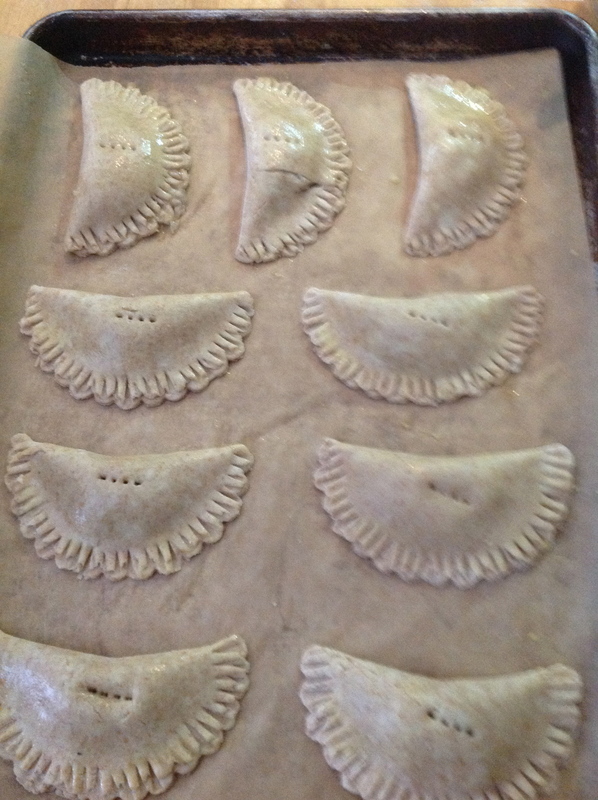 For the hand pies, roll out one disc of dough to about 1/8-inch thick. Cut circles using anything with a 4 1/2- to 5-inch diameter. I used a mini tart pan. Gather scraps re-roll/cut. I cut 9 circles using a 4 1/2-inch cutter. 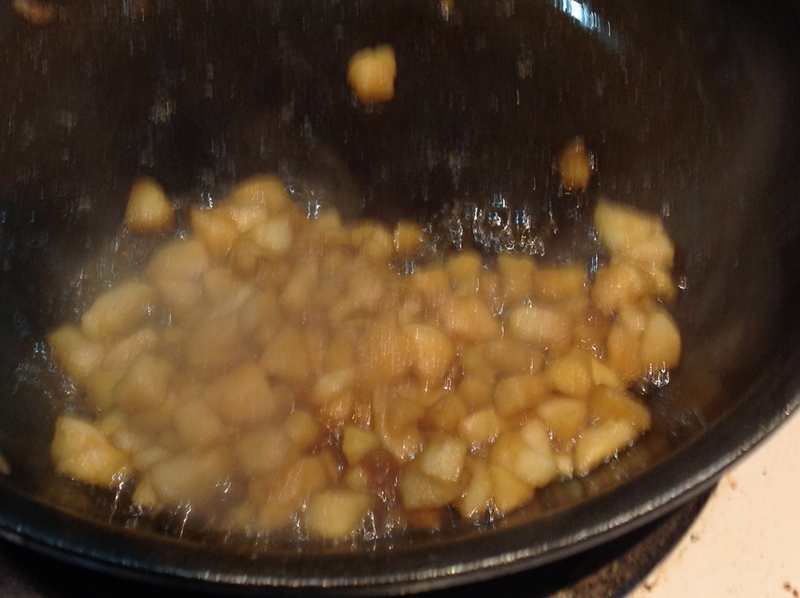 Each circle received 1 generous tablespoon of apple filling. 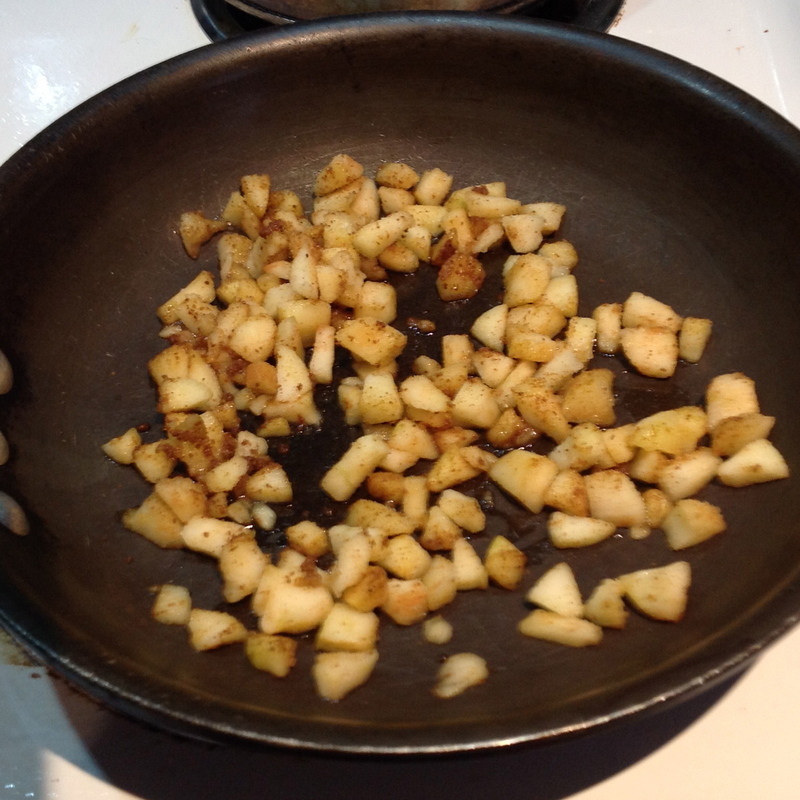 Then one side folded over the other and the edges crimped with a fork. You can use some egg wash around the edge to make sure the crimped edge stays closed. At this stage, the pies should be chilled for another 30 minutes while the oven heats to 425F. Ziploc’d, the pies can be frozen now for baking at a later date. When you are ready to bake, the pies should be pricked with a fork or sharp knife and then brushed with an egg wash. The oven should start at 425F for 5-7 minutes. This high heat helps to set the bottom crust, avoiding any sogginess. For the remaining bake, reduce heat to 375F, checking on the pies after 15 minutes. Total baking time depends on the thickness of the dough. Bake the pies until golden brown and sort of cracked-looking on the surface. These little pies were quick and easy, and oh so very tasty! 1. Cut the butter into small pieces. Keep cold in the refrigerator. 2. 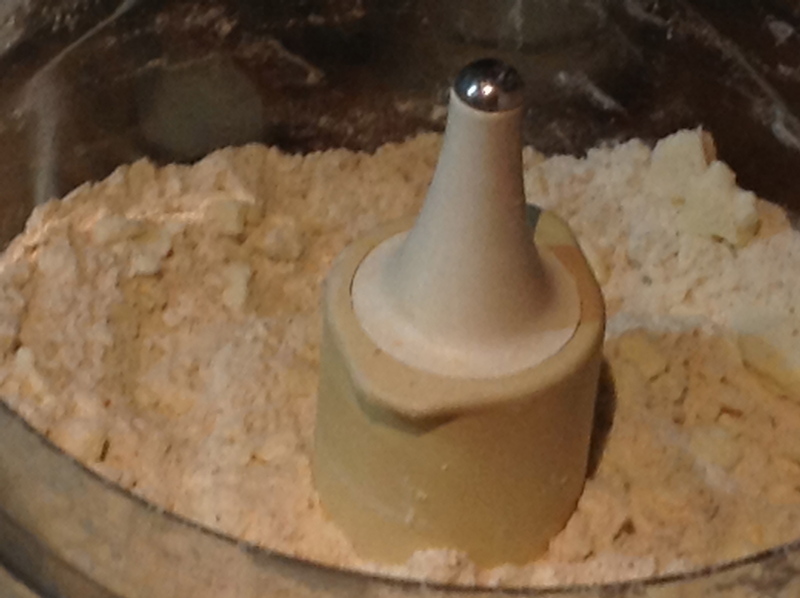 Place the flour and salt into the food processor. Whiz to mix. 3. 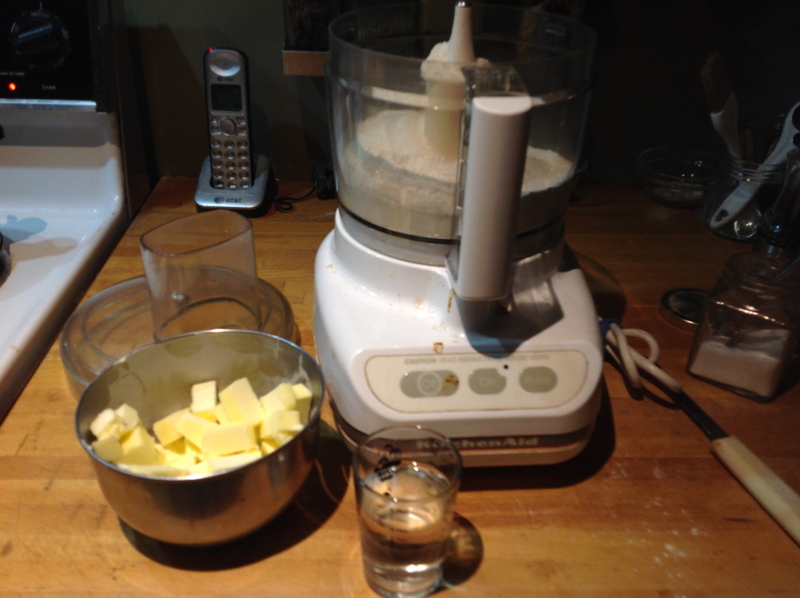 Place cold butter into processor. 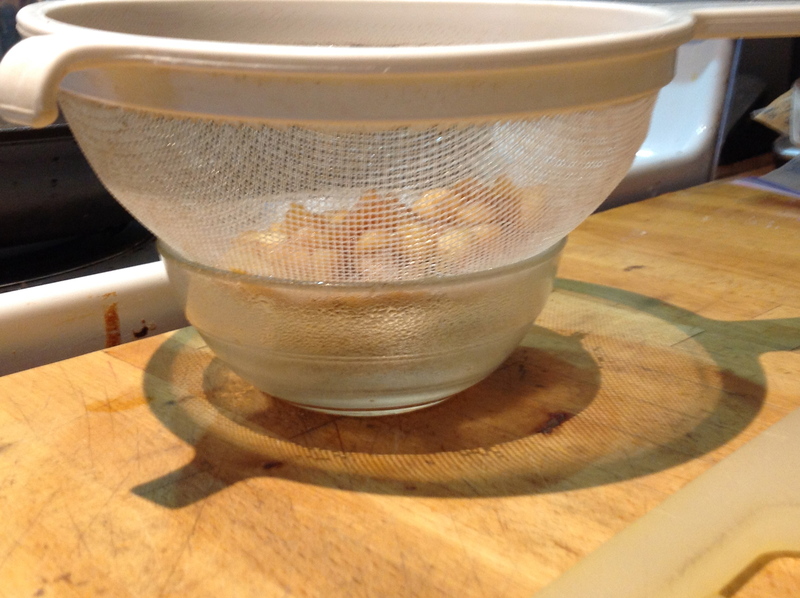 Pulse the machine 5 times for 1 ½ seconds each time, until the butter is the size of green peas. Don’t over process! 4. Add most of the water while quickly pulsing the machine so that the water can mix throughout the flour. 5. Turn off the machine. Remove the lid and test the dough by pinching some between your fingers. If it sticks together really well you are done. If it still wants to fall apart, add the rest of the water while quickly pulsing again. Don’t over mix or the dough will be tough. 6. Dump contents onto work surface. Quickly push the bits together into a mound. Cut mound in half. Quickly form each part into a flat but thick disc, about 1-inch thick. 7. Wrap each disc in plastic wrap. Chill for 30 minutes or up to 24 hours. 8. 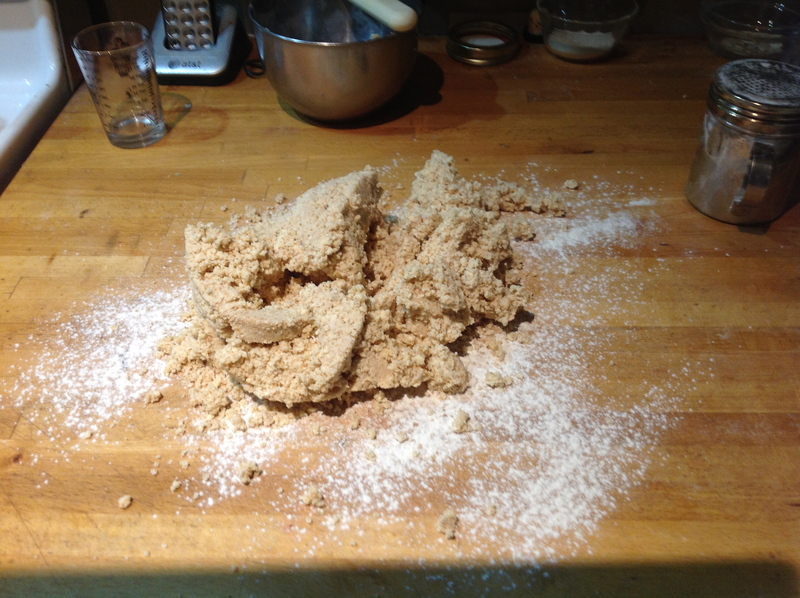 Remove one disc from the fridge, unwrap on a lightly-floured work surface. The dough is cold so may need to sit out for a few minutes before rolling. 9. Start rolling from the center of the disc moving away from yourself. 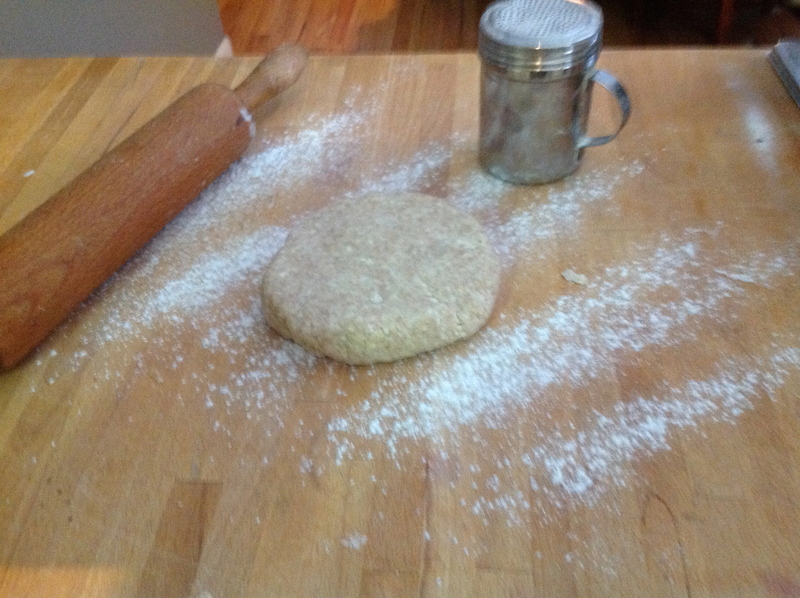 Pick up the dough, rotate a quarter turn, roll again from the center away from you. Repeat this until you reach the desired thickness. If the dough the cracks or becomes grossly misshapen, take bits of dough from other areas and patch where needed. Roll the dough to press it together. 10. 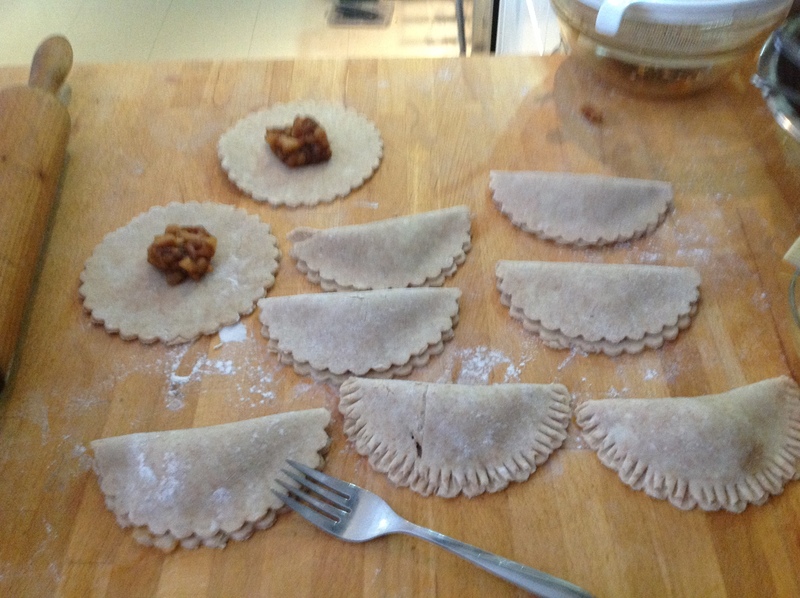 Place the dough onto pie plate, ready to fill or use cutter to make hand pies. 11. Repeat process with the additional disc of dough. This is lovely!! Great photos and step-by-step process. cookbook in your future!! I really like this too. I couldn’t see the pics on my kindle. Had to look at them. Nice job. How did the class go?